March has flown by and to be honest, I'm pretty happy to see the back of it! 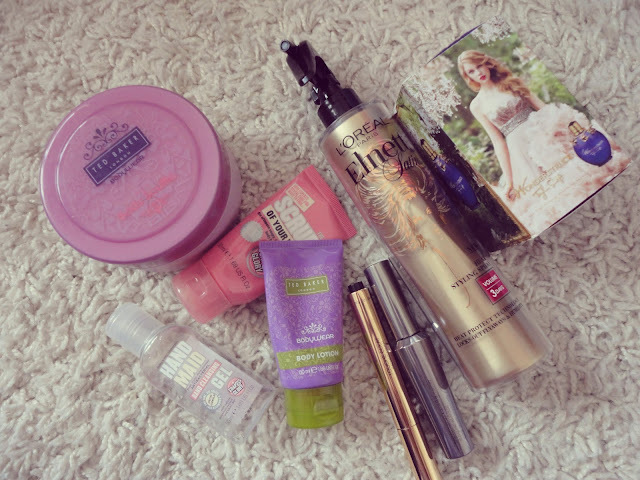 I have a good few empties this month so I'll get onto the mini reviews! Yves Saint Laurent Touche Eclat, £25 - After having my Touche Eclat for about 2 years now, I'm finally accepting that it's way past it's use by date. Nothing really compares to this where brightening under eyes is concerned and the packaging is so elegant and beautiful. Repurchase? As the £25 price tag is a little too steep for me, I have recently got the L'Oreal Lumi Magique Highlighting Pen (review to come!) as a substitute. Benefit 'They're Real!' Mascara, £18.50 - Another product I have to throw out as I've had it for almost a year now and have been squeezing the last bit out of it! This is literally the best mascara I've ever used (Maybelline 'The Falsies' is close behind though!) and it really makes my lashes stand out. I'm definitely a 'big lashes' kind of girl and this gives the illusion that I'm wearing false lashes when I'm not! However, it is an absolute pain to get off though so if anyone can recommend a good eye makeup remover, comment below. Repurchase? I have got the mini £9 'They're Real!' from Boots to last me the next couple of months! L'Oreal Elnett Styling Spray (Volume), £5.99 - This is fast becoming a holy grail product for me. 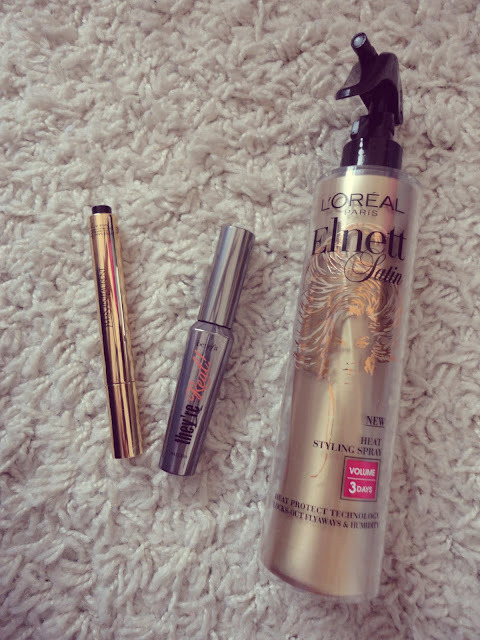 As a fan of big hair a la Cheryl Cole, this styling spray helps me to achieve that look easily and it smells amaaaazing! This was also featured in my February Empties so I would say it takes about a month and a half to finish the whole bottle which I don't think is too bad. Repurchase? I already had a new bottle on standby, so yes! Ted Baker Body Souffle, £6.50 - (I have linked the new version of this as they no longer sell this one!) Again, my resolution to use up all my body butters/lotions/creams/souffles lying around continues. I would say it's just a regular body butter, as there was nothing that special about it - and believe me, I've tried a lot of different body lotions so it takes a lot to impress me! The scent was really nice though, and it felt nice and lightweight on my skin. Taylor Swift 'Wonderstruck' Perfume, £18-£20 - As a huge Taylor Swift fan, when she brought out her first perfume, I was buying it no matter how it smelt! As it turned out, I really liked the sweet, floral scent and I think it would be perfect for spring if I had saved it. However, I'm not sure whether it ran out or the spray pump broke but I've had to say goodbye to it nonetheless. Repurchase? I've now got my eye on the Jimmy Choo 'Flash' perfume, so no. Soap & Glory "Hand Maid" Hand Gel, £2.50 - Possibly the most expensive hand gel ever, but I love it! I am definitely a clean freak and obsess over bacteria on my hands or face so this has been a godsend. Now, obviously you can't see this as it's empty, but the gel is pink which is perfect for a girly girl like me. And the best part is that it doesn't smell like a hospital and actually has a really nice floral scent to it! Repurchase? I did try to find this in two big Boots but neither of them sold it so I had to settle for a Cuticura one. Soap & Glory "Scrub of your Life" Body Scrub, £2.50 - The travel sized versions of S&G products are perfect if you want to try something out and this was the first body scrub of theirs I've tried. The particles are quite densely packed together to exfoliate every bit of the body. The particles are also a lot smaller compared to the Sugar Crush Body Scrub so this one is definitely better for more frequent use. Repurchase? I bought the big version of the Sugar Crush Scrub instead. Ted Baker Body Lotion (mini), £2.50 - I don't really have anything that different about this lotion compared to the Body Souffle above but it's a nice cheap and cheerful lotion and the mini version gives you a chance to try it out before buying the bigger bottle, as this size doesn't take long to get through. I hope you've enjoyed reading my March Empties and sorry it's such a long post! Let me know if you've tried any of these products and what you've thought of them. Love the YSL Touche Eclat I usually buy it at duty free prices on a plane!